MCAO sutures, microcatheters, MCAO surgical tools - Doccol Corp. Welcome Guest! Thank you for visiting our website. Registration is required for the online ordering process. Please log yourself in if you already have an account with us. New customers may take a minute to register your account before placing an order. With your account you will not only be able to track the status of your current order, but also be able to retrieve the history of your previous orders. MCAO sutures for rodent stroke models. Doccol provides MCAO (middle cerebral artery occlusion) sutures for inducing ischemic stroke models in rats and mice. MCAO sutures are silicone-rubber coated nylon monofilaments, in which the silicone-rubber coating is engineered for ensuring a complete occlusion of the middle cerebral artery (MCA) origin while avoiding subarachnoid hemorrhage (SAH). Doccol MCAO sutures have been well recognized and preferably selected by stroke investigators for inducing ischemic stroke models, our products are referred by over a thousand scholarly articles. Our clients are top-ranked universities, highly prestigious research institutes, and world-leading pharmaceutical companies from all over the world. Using Doccol monofilaments for inducing MCAO models has been widely accepted as a necessary technical step and also a new standard for ensuring the highest quality of stroke modeling. MCAO sutures are available in nylon monofilament material USP size 3-0, 4-0, 5-0, 6-0, 7-0, and 8-0; diameters of silicone-rubber coated part range from 0.15 mm to 0.58 mm; coating lengths are available from 1.5 mm to 10 mm. Using Doccol monofilaments for inducing MCAO models has been reported to be able to drastically decrease the within-group variation of stroke models, reducing the standard deviation (SD) to 5% of the mean value for infarction volume. For more information please read Doccol Made a Difference in Stroke Modeling. Doccol also provides sorted MCAO sutures of different diameters and coating lengths (SSK series) for surgeons to find out their optimal MCAO sutures. Please don't hesitate to contact Doccol if you need to customize your MCAO sutures. 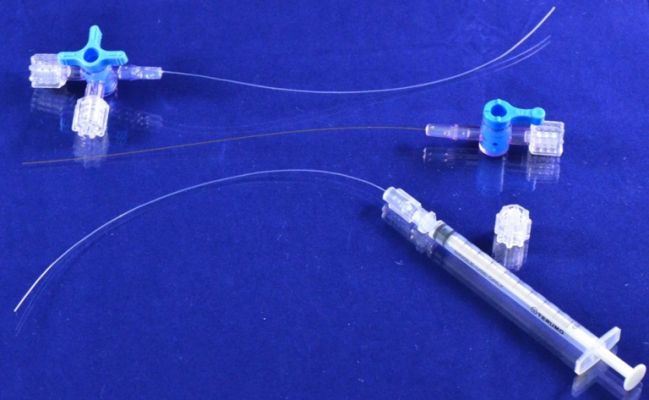 Doccol knows the frustration and pain in making and using “home-made” microcatheters, our microcatheters are permanently connected to an industrial standard Luer lock or stopcock, therefore, eliminated the transitional tubing and needle connection. Doccol microcatheters offer the convenience of direct use with in dustrial standard syringes with Luer fitting. Dramatically reduced inner volume allows minimal disturbance of local blood flow dynamics. Although the microcatheters are extremely fine, they offer excellent pushability; tubing OD covering a range from 0.081 mm to 0.838 mm with sufficient choices; these features make them suitable for the access of deep microvascularure. 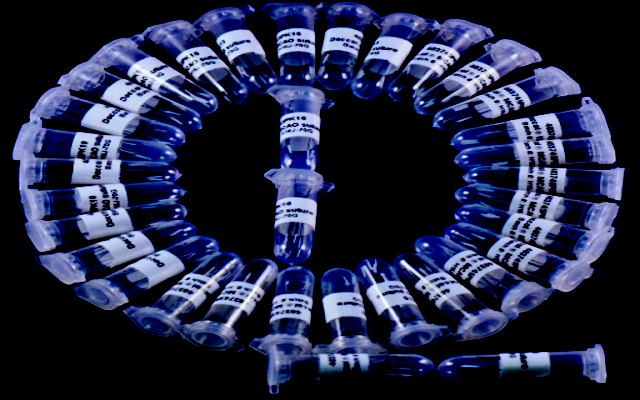 Microcatheter tubings are available in several materials, such as polyimide, teflon, polyethylene, vinyl, and polyurethane. These microcatheters are durable and can be repeatedly used. 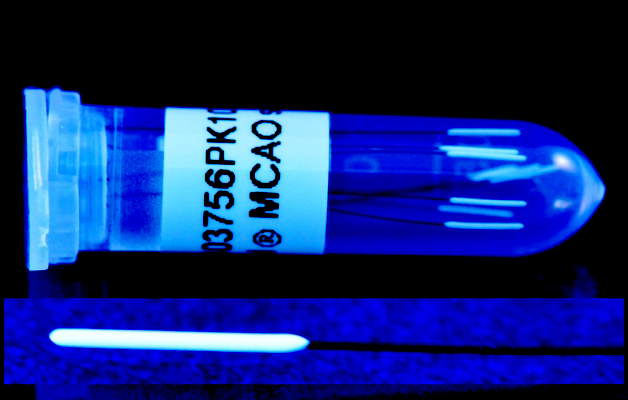 MCAO micro surgical tools. Doccol provides the mostly needed essential microsurgical tools to help with your routine MCAO modeling work; we are specilized in different types of micro suturing forceps (micro suture tying forceps), micro dissecting forceps, and micro spring scissors. 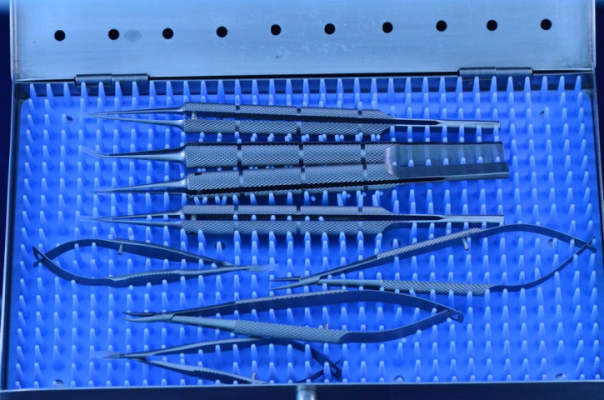 These surgical tools were carefully-selected to meet the special operational needs in MCAO stroke modeling, and with the goal in mind to bring you with maximal performance and productivity. PID temperature controllers. Maintenance of the surgical area temperature within an acceptable range is one of the important steps for achieving excellent consistency in stroke modeling. The AC-output PID temperature controller with suggested AC-powered heating pad provides an economical and efficient solution for common surgical procedures. It can be used in both mice and rats with in vivo rectal probe feedback or for precision control of surgical environment temperature. How to place orders. Orders may be placed through online shopping cart at www.doccol.com. You may also send your order sheet through fax to 1-888-893-5285, or Email to Doccol Corporation. You may login your account at doccol.com for checking price and product information. The complete PDF catalogue can be downloaded at Doccol website: https://www.doccol.com/catalogues/catalog_1.pdf. Payments are acceptable by purchase order account, all major credit cards, and wire transfer. Need help to select products or place an order? Most common questions have been answered in Information pages:Select Monofilaments, Select Microcatheters, How to Place Orders, FAQs, Shipping and Payment, and Downloadable Forms.